Every year, one or two books go viral. The Fault in Our Stars by John Green, Lone Survivor by Marcus Luttrell, and Hate List by Jennifer Brown have all held the Viral Title award in the past. I couldn’t keep those books on my shelves, and students couldn’t read them fast enough. 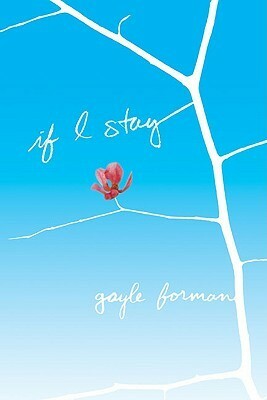 This year, If I Stay by Gayle Forman is everywhere I look. All of my students want this book–AP, on level, male, female, black, white, readers, non-readers. I have six copies and all are checked out. 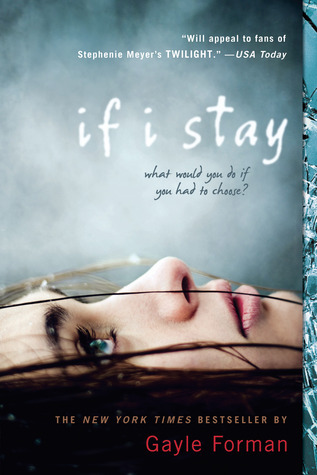 I got into bed Tuesday night with my Nook, where I’d recently downloaded If I Stay. It’s been about a month since I’ve read a book for pleasure, so I intended to just read a chapter or two and then go to sleep after my 14-hour day. I stayed up ’til midnight and finished the book. Silent tears dripped down my face around page 15, when Mia’s family is destroyed in a car accident. Forman’s writing shoves me into the moment and I am right there with Mia, feeling her anguish as she sees her parents strewn across the road. I agonize with her over the whereabouts of her younger brother, Teddy, and I hear the eerie quiet of a post-collision highway. I was captivated from that moment onward, terrified for Mia as she watches her own injured, unresponsive body be flown to the hospital. Watches her now-daughterless grandparents in the waiting room. Watches the surgeons and nurses frantically try to save her. She vacillates between wanting to stay in this world, and wanting to leave it behind. NPR calls this story “achingly beautiful,” and I would agree. Its language, its structure, haunts me, days later, and I know my students and I will study Forman’s craft soon…the way she brings us into a moment, frozen in time, and suspends our disbelief as we stay beside Mia’s spirit, watching all of this unfold. Please read this book, and get it into the hands of your students, too. The car is eviscerated. The impact of a four-ton pickup truck going sixty miles an hour had the force of an atom bomb. It tore off the doors, sent the front-side passenger seat through the driver’s side window. It flipped the chassis, bouncing it across the road and ripped the engine apart as if it were no stronger than a spiderweb. It tossed wheels and hubcaps deep into the forest. It ignited bits of the gas tank, so that now tiny flames lap at the wet road. And there was so much noise. A symphony of grinding, a chorus of popping, an aria of exploding, and finally, the sad clapping of hard metal cutting into soft trees. Then it went quiet, except for this: Beethoven’s Cello Sonata no. 3, still playing.